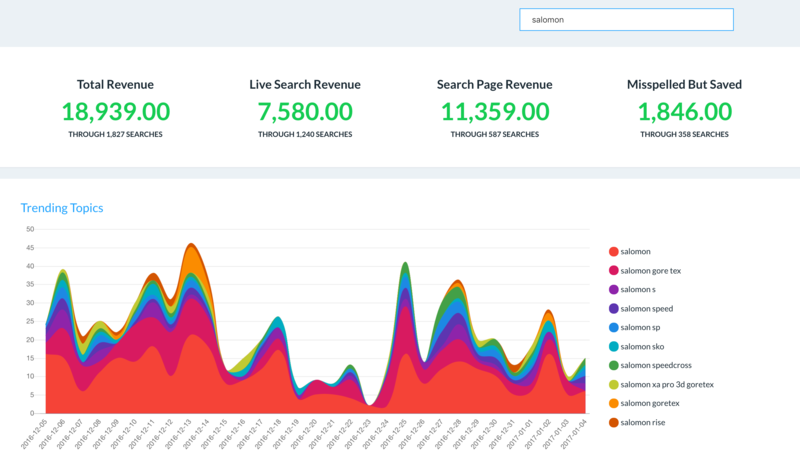 Search Insights gives you a great overview of how customers are searching on your webshop, including how much revenue is generated and where improvements can be made to yield better results. 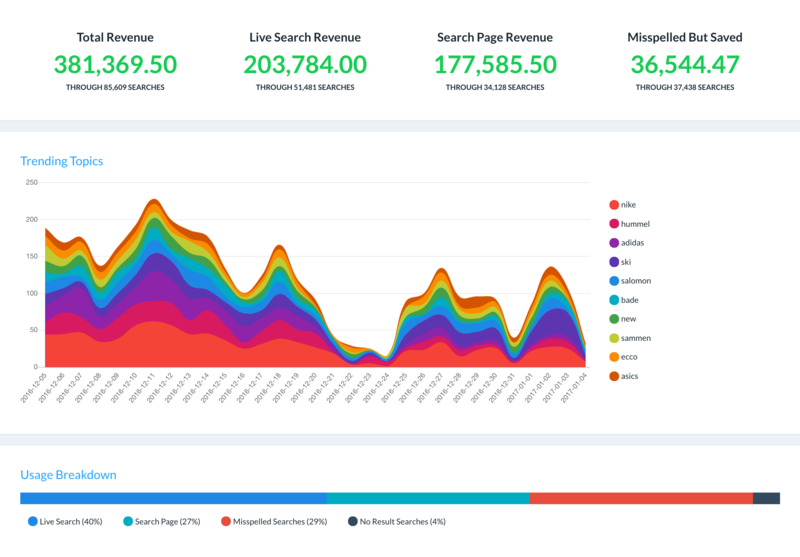 The first section of Search Insights shows how much revenue is generated from each individual part of the search engine. The total amount of revenue generated, as well as the individual revenue generated, by Live-Search, the Search Page, and after the correction of spelling mistakes respectively. The current most popular search terms, colour-coded for each term to the right of the graph. The distribution of results across different parts of the search engine. This also includes the percentage of search terms which return zero results. Now that you can see how much revenue the search engine is generating, you can look deeper into the actual numbers behind this performance. 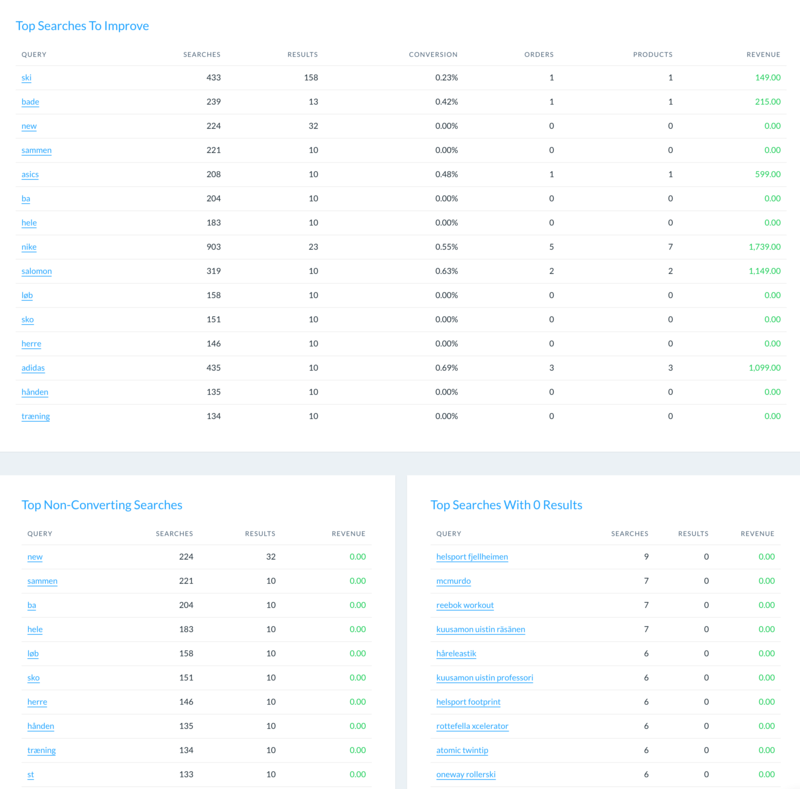 Search terms that generate the most revenue, sorted by highest first. Search terms that are most frequently used, sorted by highest first. Finally, you can get an overview of the searches that are not performing too well and start to look at measures to improve these results. Search terms that customers frequently use but that have little or no conversions. Search terms that result in no conversion at all. Search terms that return zero results. 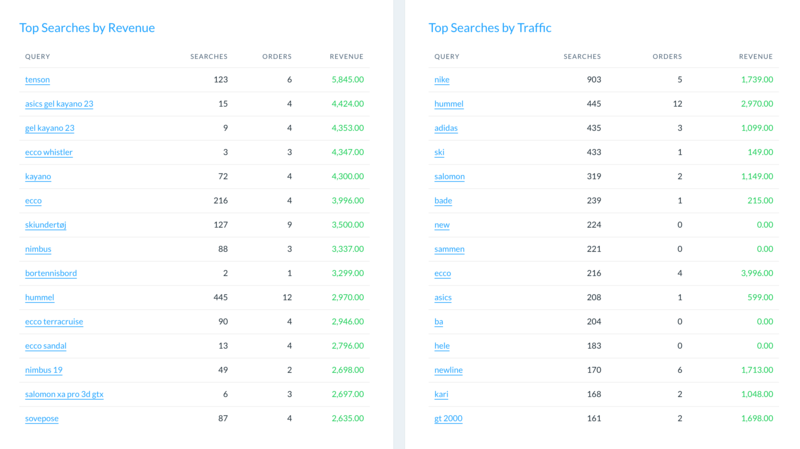 The entire Search Insights Dashboard can be narrowed down to only show stats based on searches that include specific keywords. By typing a keyword into the top of the Dashboard, you can see the development of phrases which the keyword belongs to, as well as connections between what customers are searching for. Relevant keywords could be brands, product types, category names and so on.